Poway Plumbers provides plumbing and drain cleaning services in Poway Ca. Call today for your free quote. 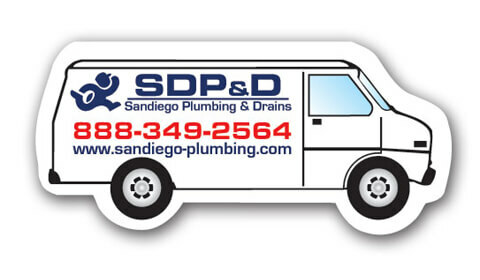 When you call Poway Plumbers during business hours, a Plumber will answer the phone. Not an answering service or dispatch center telling you that they don’t know anything and can only send a technician out. Poway Plumbers technicians actually talk with you regarding your plumbing and drain needs and we do our best to provide a ballpark estimate on what it should take to do the job. Then we set up an appointment to have a technician perform the work. We can usually show up that day. Or we set up appointments for the following day or when it is more convenient for us both. One of the many reasons why Poway Plumbers cares so much about our customers is because we want the repeat business and the referrals for new customers. Our business depends on this as we have decided to stop advertising in the yellow pages phone book 7 years ago based on the enormous advertising costs and ineffective results. When we pay less for advertising, that allows us to charge you less. Poway Plumbers offers installation of Plumbing fixtures, Pop up install, Dishwasher hookup, Sink installs, Shower Cartridges, Kitchen faucet Replacement, Hose bib – Spigot, Pressure regulators – Reducers, Toilet installation, Repair leaks, Valves & risers, Garbage disposal, Line leak detection, Camera & locate Sewer Line, Ball valves, Flush & Fill Valves, Water heater, Recirculating pumps, Valve stems, Trap repair and rebuild. Poway Plumbers has knowledge to many other plumbing and drain companies in Poway, so if you require work that we can’t get to or do not specialize in such as remodels, re-pipes, re-route, slab leaks, etc… we will refer you to them. This should help guarantee that you’ll receive help from an experienced professional who offers quality work and reasonable rates as well. Call Poway Plumbers today !